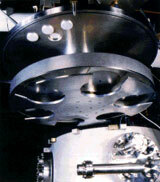 The Nordiko Sputtering Systems offer the highest degree of process flexibility in the industry. All systems are batch type annular geometries with modular options allowing a wide range of operating parameters and configurations. Nordiko offers a work table consisting of both heating and cooling circuit elements, to alternatively allow either substrate cooling or heating. is designed primarily for R&D (Advanced Process Development) and Pilot Production applications. 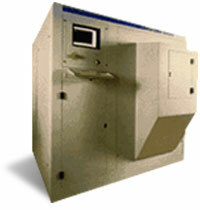 The "base" 2000 can be configured without an automation system or load lock for restricted budgets. These items can be modularly added on as the application and funds develop. is an enlarged version of the 2550 tool, encompassing increased chamber volume and substrate table capacity, for the highest throughputs possible for Full Production. The 2550 is a fully automated machine with a field-proven cassette-to-cassette wafer transfer mechanism making it particularly well suited to Production utility.